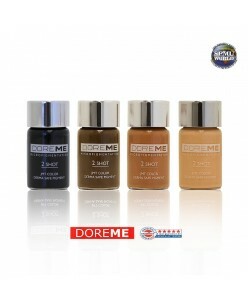 DOREME Permanent Makeup pigment (2SHOT COLORS)Brilliant and vivid colorful colors produced with high quality pigments. High pigment density ensures maximum color retention. With a wide range of colors to choose from in each category, it is easy to find the perfect shade to fit each client’s needs. 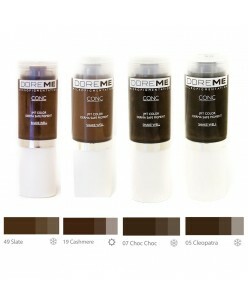 JMT Derma Safe color..
DOREME Permanent Makeup pigment (Conc colors - Microblading) Brilliant and vivid colorful colors produced with high quality pigments. High pigment density ensures maximum color retention. JMT Derma Safe colors are sensitivity-tested by DERMATEST® Munster and comply with Council of Europe Resolution ResAP (2011). * CONC pigme..